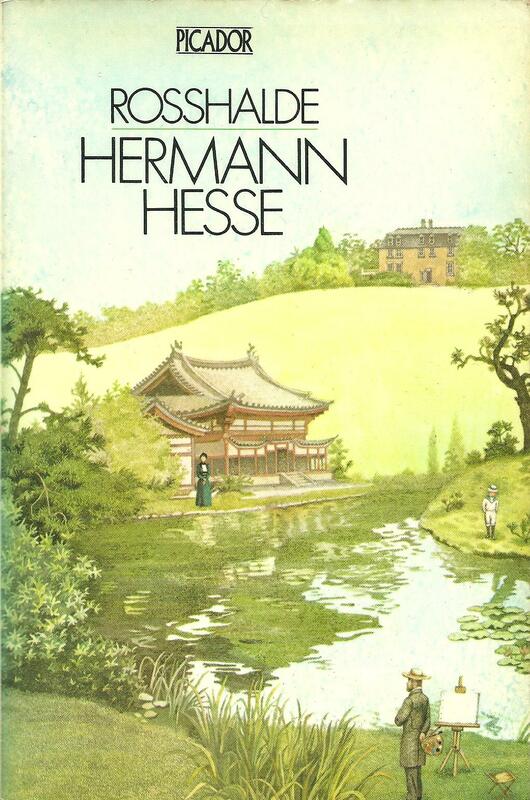 I've made it my mission to plough through the complete works of Hermann Hesse. Well, you only live once. Hermann who, you might ask? Ah, it doesn't matter, I reply. First published in 1914, Rosshalde is perhaps one of Hesse's lesser known books and though not as powerful as some of his others such as Steppenwolf or Journey To The East, it still packs an emotional and intellectual punch. On reading it, my immediate thought is that it reads like an Ingmar Bergman film. Meaning, it's soul-searching, desolate and bleak but in the end wholly uplifting and resolutely deep with meaning. Rosshalde is the name of the house where an estranged family live out their somewhat dysfunctional lives. Dysfunctional, that is, in terms of happiness. The father is an artist who lives in an out-house in the grounds of the estate while his wife lives in their mansion house, devoutly caring for their son. Their other elder son lives away at University and only comes home during holidays. Between the father and his wife there is little communication; between the father and the elder son there is not only little communication but open hostility. The only real link between them all is the younger son, whom they all love. From this toxic situation, however, the father produces great and internationally acclaimed art but at what price? Must the source of great art hung on the walls of the rich always have to be wrung from the anguish and sadness of the artist? The visit of a friend from the Far East punctures the sterility of the father's life and suggests a solution: To step out into the world and away from seclusion, isolation and self-imposed unhappiness. To embrace the world. To join him in the Far East to live a fuller life, enjoying the beauty and wonder of nature and to capture it in art. Here then is the theme familiar to many of Hesse's books, that of the question as whether to live one's life in contemplation or to throw one's self into the maelstrom of the world. The father takes heed of his friend's suggestion and decides to abandon his so-called 'family life' and head off to the Far East for a year or so, leaving it open as to whether he might ever return. This decision is arrived at after much soul-searching but rather than running away from his responsibilities he is instead facing up to everything and walking away – and right there is the big difference. For all that, before he is able to leave tragedy occurs when his younger son is struck down with meningitis and dies. The book ends with the father about to set out on his new life, poorer and indelibly wounded by the death of his son but determined now not to waste or lose a precious hour of his life again. Rosshalde is a classic depiction of an Apollonian and Dionysian tragedy where light clashes with dark and the real clashes with the illusory. The key is in the joining of the two opposites and that is what the father in setting off for the Far East is going for: To complete himself by living a fuller life but through contemplation still being creative – in his case, to continue to paint. A point of interest in the story is Hesse's use of metaphor. It's the arrival of his friend from the Far East that prompts and instigates the father's epiphany but clearly this is just a way of representing the advent of what essentially is a moment of revelation, which could actually have been brought about by any number of other things. Hesse, in this particular story, represents it as a visit of a friend from the Far East but just as easily it could have been represented by the reading of a book, the hearing of a song, the viewing of a picture, an unplanned incident, an unexpected interruption, or even the imbibing of a drug. Which brings us neatly to Timothy Leary's supposition that Hesse may have been experimenting with psychedelic drugs and that his flashes of inspiration were being derived from this. You can see where Leary's coming from because Hesse's moments of perception are somewhat similar to the moments of clarity that can be brought about by LSD. Aldous Huxley would have vouched for this. Apart from the books themselves, however, there is no evidence to support Leary's suggestion, which is actually quite good to know. It tells us that rather than being drug-induced, Hesse's ideas, visions and insights are all natural, which makes for even greater respect for him. Which makes for his books to be more likeable, more engaging and – interestingly – more real.